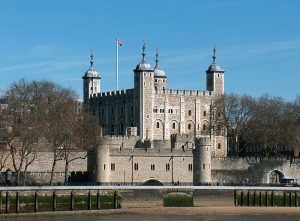 The Tower of London is famous for being the site of much bloodshed and for being the prison of many hundreds, if not thousands, of people since it was first built by William the Conqueror in the late 11th century. 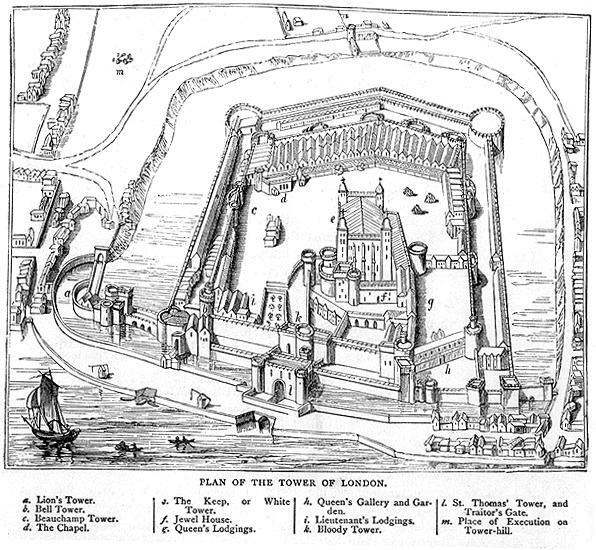 For those interested in the Tudor period, the Tower of London was used as a fortress, prison, a royal palace where the monarch would stay prior to their coronation, and a place of execution. 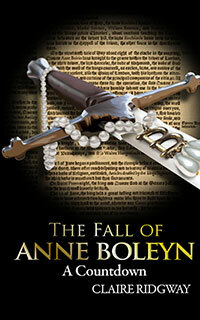 Anne Boleyn spent the night before her coronation in 1533 in the Queen’s apartments of the Royal Palace and she was also imprisoned there after her arrest on 2nd May 1536. 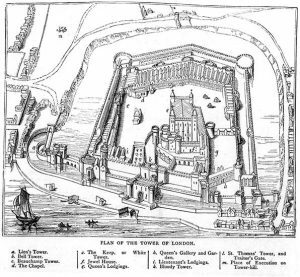 George Boleyn, Mark Smeaton, Sir Henry Norris, Sir Francis Weston, Sir William Brereton, Sir Thomas Wyatt and Sir Richard Page were also imprisoned there in May 1536. After her execution, Anne’s body and head were taken away by her ladies, wrapped in a white cloth and placed in an arrow chest for burial. 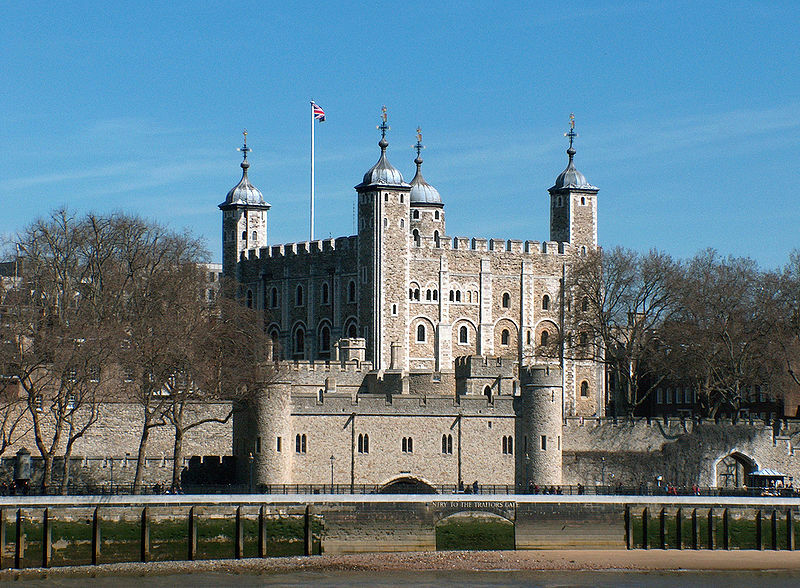 Anne Boleyn was buried in a common grave in the Tower of London chapel, St Peter ad Vincula, but was then re-interred in Victorian times in a crypt under the altar. Special memorial tiles mark the burial sites of Anne Boleyn, her cousin, Catherine Howard, another wife of Henry VIII’s, and also Lady Jane Grey.